Wordcrafters in Eugene was awarded for their Fiction Fantastic young writers contest. This year nine community arts organizations, with annual budgets above $100,000, will receive Program Grants and 17 community arts projects will receive Project Grants. Project grants will fund: theatre productions, poetry slams, arts and writing competitions, summer rock camps, festivals, art exhibitions, mural programs, fashion shows and more. St. Vincent de Paul was awarded a Community Arts Grant for their Metamorphose Earth Day Event in which they will invite the community to participate in upcycled/recycled art and design challenges and learn about responsible waste-diversion. 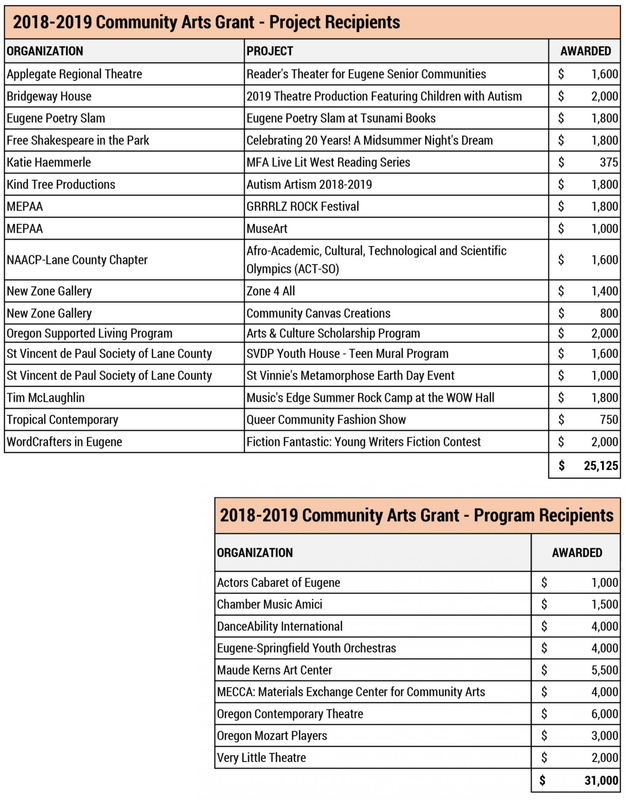 “Community Arts Grants play a critically important role in Eugene by helping to meld mission with art—and that art helps to make that mission visible, vibrant and accessible,” says Terry McDonald, executive director of St. Vincent de Paul. The agency also received a Community Arts Grant that will enable a local artist to work with residents of the new SVDP Youth House for homeless teen girls to create a mural telling their collective story. 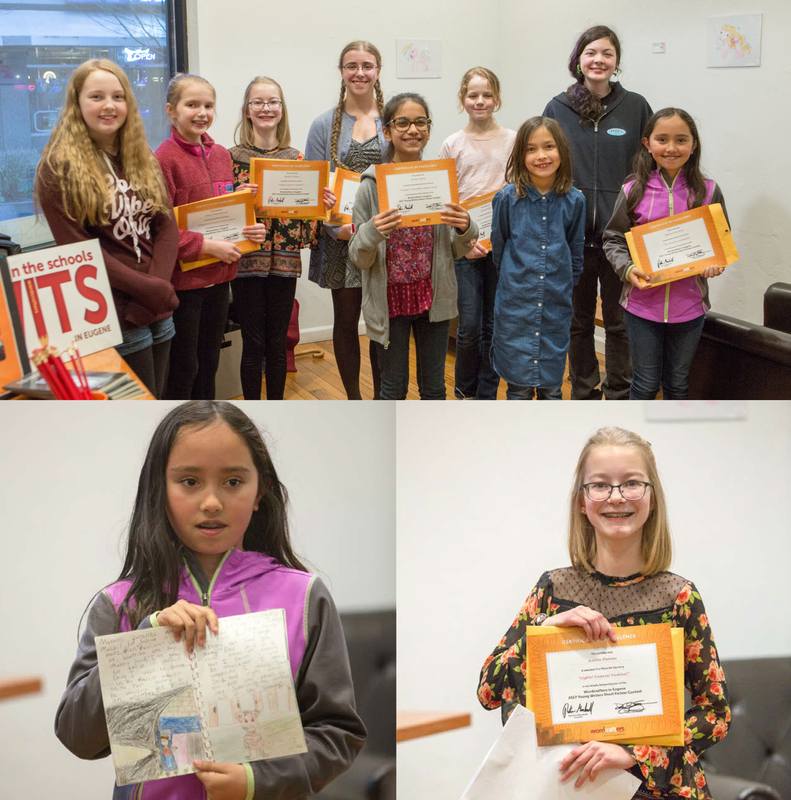 Another grant recipient, Wordcrafters in Eugene, will present a Fiction Fantastic contest for young writers to showcase their creativity and publish their written works.